Register now before it is full! 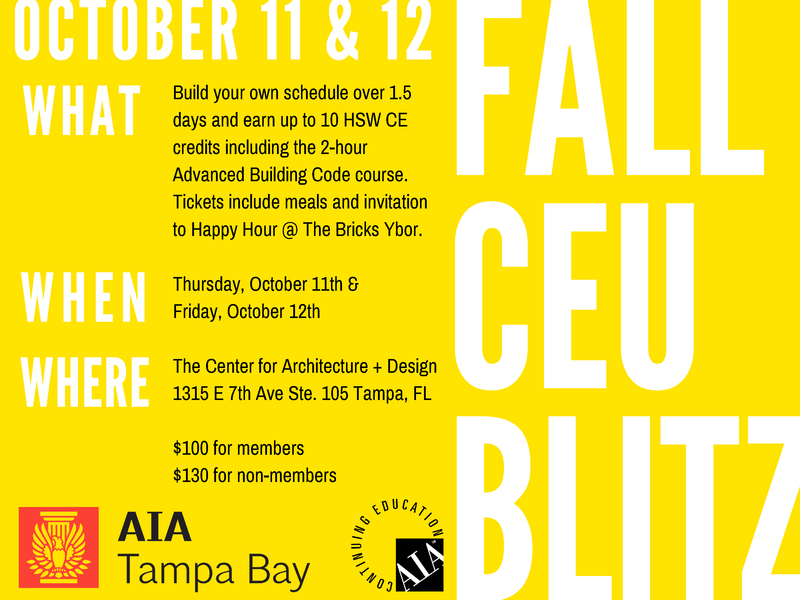 Fall CE Blitz offering participants up to 10 hours of HSW credit, including the approved 2 hour Advance Florida Building Code Course, Components and Cladding, generously provided by Darrell Cummings of YKKAP, Two classes will run simultaneously, so choose the one that interests you most. Full schedule released 9/25/18. 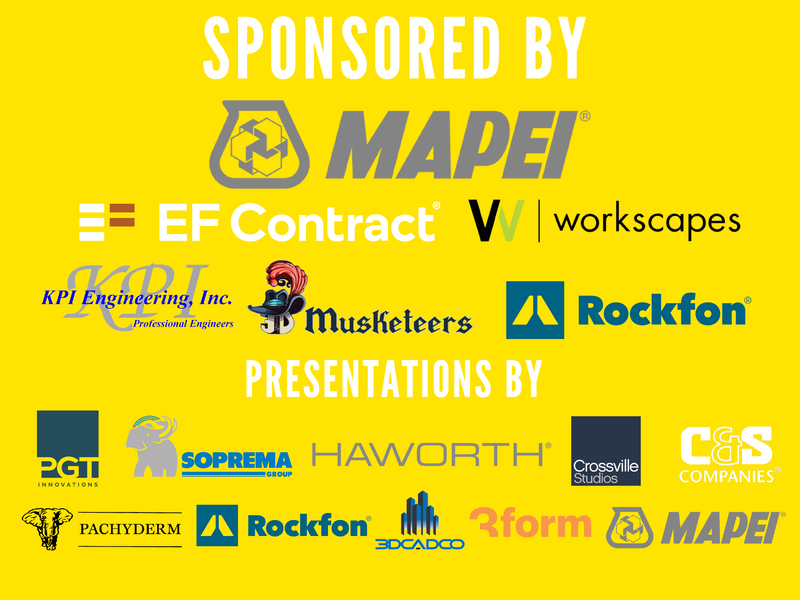 Join us Thursday, October 11th at 5:00 for a reception at The Bricks sponsored by MAPEI. Food, drinks, and fun in a really cool setting. Don't miss it!